MINNEAPOLIS, MN--(Marketwired - Mar 20, 2014) - Dr. Jess Prischmann, a facial plastic surgeon in Minneapolis, says people who are considering facial plastic surgery should ask themselves a few specific questions to determine if facial plastic surgery is the right decision for them. What is your motivation for obtaining facial plastic surgery? How much do you spend thinking about surgery? Does the area you want to change keep you from comfortably going out in public or having relationships? Will your financial situation limit your options in selecting a surgeon? Dr. Prischmann says people should be motivated to undergo facial plastic surgery due to their own desire to make a change in their appearance. She says, while advanced procedures like facelift and necklift, neck liposuction, browlift, eyelid surgery, and chin implants can enhance facial balance and contour and boost levels of confidence in many people, it is crucial to really analyze one's true motivations for altering or enhancing their appearance. Dr. Prischmann notes those who are considering plastic surgery after a break up, to cope with the death of a loved one, or to win over new friends, may not be the best candidates for facial plastic surgery, adding that cosmetic surgery could actually worsen their emotional situations. She says it is very important to ensure people make decisions about cosmetic surgery based on what they want for themselves, and not on any outside factors. Dr. Prischmann goes on to say it is not healthy for people to spend the majority of the day thinking about one's appearance or body parts. Nor is it healthy for people to prevent themselves from developing meaningful relationships with others or choose not to go out in public because of issues they may be having with their appearance. She suggests that people who allow their appearance to interfere with their daily lives consider seeking assistance from a therapist first to uncover and overcome any deeper psychological issues that may need to be resolved before undergoing plastic surgery. Finally, Dr. Prischmann explains that if a person is not financially prepared and selects discounted surgery due to financial limitations, the patient risks having the procedure performed by an inexperienced surgeon who may not be able to provide the results the patient was expecting. She encourages people to select only highly-skilled, experienced plastic surgeons who offer comprehensive consultations and realistic expectations for surgery, as well as those who hold a consistent track record of successful past procedures. According to Dr. Prischmann, assessing individual mental, financial, and emotional situations can help people determine if cosmetic enhancement is a good option for them and can work to avoid: making poor decisions, regretting procedures in the future, not choosing the most qualified surgeons, and/or having unrealistic expectations of what facial plastic surgery can achieve. Dr. Prischmann says the right cosmetic procedure performed by an experienced surgeon, and for the right reasons, can truly make a positive difference in the lives of people who desire cosmetic enhancement. Dr. Jess Prischmann is a Board-Certified Head and Neck Surgeon who is also fellowship-trained in Facial Plastic Surgery. She worked as a television news reporter during medical school at the local NBC affiliate in Shreveport, LA. Dr. Prischmann graduated medical school at 23 years old and at the top of her class from Louisiana State University, where she was a member of the national medical honor society, Alpha Omega Alpha. She completed her residency in head and neck surgery at the Mayo Clinic in Rochester, MN and her facial plastic and reconstructive surgery fellowship with Stephen W. Perkins, MD, a world-renowned leader in the field. Dr. Prischmann owns and operates her private facial plastic and reconstructive surgery practice in Edina. She is available for interview upon request. 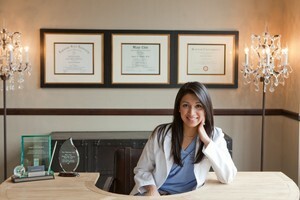 For more information about Prischmann Facial Plastic Surgery, please visit mnfacialplastics.com or facebook.com/mnfacialplastics. About this company Jess Prischmann, M.D.